Ok, for me an ‘out of the box’ blog. I never review movies, and I try to stay away from racial issues, since I was raised with non, and am not confronted with racism in my daily life. And because I was convinced that we, 2014, are past that, and should not dwell on it much longer.. But Yesterday, I attended the pre-viewing in the Netherlands, of ’12 Years of Slave’. I had to attend because I wanted to see what all the fuzz was about. And who is this new ‘it-girl’ Lupita Nyong’O? Is she really that good? I bumped into this commercial and I was wondering if there are any natural Black Hair Beauty’s that are willing to share their experience with me! Please leave a note! Wow, the hair! An afro in politics. With articles by Washington Post tittled: ‘With the de Blasios, ‘locks on the national stage’’, and the New York Time naming Dante de Blasio on ‘most influential teens’ list, it is clear that The famously photogenic only son of Mayor-elect Bill de Blasio Dante de Blasio, son of the next mayor of New York, has made a statement with his hair. 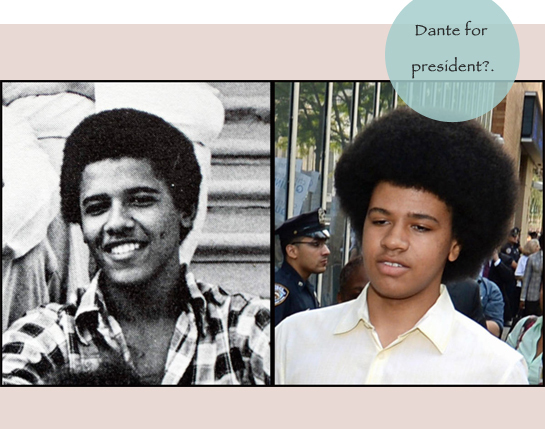 The publication singled out the younger de Blasio, 16, as the “city’s latest fashion icon” and noted that his “now-iconic Afro” was even lauded by President Barack Obama who previously admitted: “Dante has the same hairdo as I had in 1978. Although I have to confess my afro was never that good. It was a little imbalanced.” (Malia Obama is also on the ‘most influential teens’ list by the way). 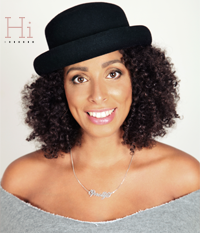 ‘Going Natural Special ’ was on News Channel 5 last year and Rochelle Ritchie received so many positive reactions, I have to share this with you once again. For those out there who have never heard of her: Rochelle Ritchie is a multimedia journalist of WPTV NewsChannel 5 who one day decided she was tired of wigs, weaves and relaxers. She wanted to go natural and wasn’t the only one: Going Natural Special features women getting the ‘big chop’ and their amazing hair stories were written, shot and edited by Ritchie. Read more about Rochelle Ritchie.